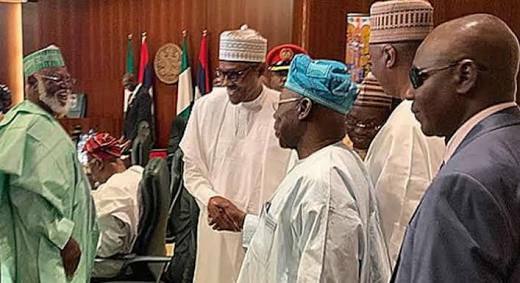 Former President Olusegun Obasanjo has appealed to Nigerians to have faith in the country despite what he called the underperformance of President Muhammadu Buhari. The former President spoke in Abuja on Thursday at the public presentation of a book titled, ‘Politics as dashed hopes in Nigeria,’ which was written by Dr Auwalu Anwar, a former aide to Obasanjo. The former president was the chairman at the event. Obasanjo asked Nigerians to rise and defend the country’s democracy. 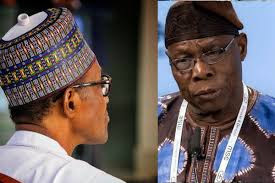 Obasanjo regretted that nothing had changed since Buhari assumed office, especially in the areas of security, fighting corruption and job creation. He added that in few months’ time, elections would hold in four West Africa Countries of Nigeria, Ghana, Senegal and Côte d’Ivoire. He told the gathering that one common feature in the elections was that the four incumbent presidents were in the opposition from where they won their elections. He said, “I am not in despair and I would ask the rest of us not to be in despair; our hope lies in democracy with good governance as some of the hallmarks were free, fair, transparent and credible elections. “Things may be gloomy, things may not be what they should be, leadership may be underperforming, but we must not lose hope. He also spoke about the book, which deals with the Buhari presidency. Obasanjo said, “The book is about the Buhari organisation, Congress for Progressive Change, All Progressive Congress and Buhari’s political life and activities up to the second year of Buhari’s administration. “President Buhari served the purpose of galvanizing efforts to get Jonathan and the PDP out of office.